Thanks Renee for taking the time to share your great idea! Francia, as long as you can honestly say the beverage is water. If it drifts over into tea, then no. Can i add lime juice, ginger and some mint leaves in hot water to drink in the morning and before bed?? The Daniel Fast is a method of fasting and based on the fasting experiences of the prophet, not just one of the fast. Since in Daniel 1 we read that he ate only pulse (food grown from see) and drank only water . . . that’s the reason. The 10-day fast of Daniel, Hananiah, Mishael and Azariah described in the Bible is not the same, three-week fast Daniel describes which is specifically a fast for revelation. Not to argue about this, but if I’m looking for an answer about why herbal tea is generally thought not be ok as part of the Daniel fast, I’d expect the reference to be linked to the fast in question. Also, keep in mind that you are only adding in a piece or two for a refreshing effect without compromising the integrity of the water. I have found that all melons, strawberries and pineapple taste wonderful in water as well. Just add a few pieces to your water and you are good to go. Be blessed!! Whey is dairy based, and there is no dairy allowed on the fast. However, you can get a plant based protein powder to use, like soy protein powder would be one option. I hope this helps, Be Blessed! Is whey protein powder allowed in the smoothie? Yes, smoothies are allowed on the fast when made as a meal replacement (since they are considered a “liquid meal” rather than a beverage). A Daniel Fast “smoothie” is simply, in a blender add fruits, vegetables, if needed a splash of unsweetened plant-based milk (Soy, Almond, Rice, Coconut, etc.) or Natural, unsweetened juice. Also, if additional protein is needed, you can add in a plant based, chemical and sweetener free protein mix. I hope this helps, Be Blessed on your Fast! So if I were to put an assortment of fruit into a juicer, I would be abiding by the guidelines of the fast? I really want to follow this plan as much as possible. Thanks! It doesn’t need to be only spring water or purified water. Filtered water is preferred because of quality issues, but if you only have tap water available, that is fine. Do you have to drink only spring water or can you just drink the water from the faucts. The two foundational scriptures for the fast are: Daniel 1:12 “Prove thy servants, I beseech thee, ten days; and let them give us pulse to eat, and water to drink.” Pulse is food grown from seed . . . corn, potatoes, wheat, rice, fruit and the like are all considered grown from seed. Dan. 10:3 – I ate no pleasant or desirable food, nor did any meat or wine come into my mouth; and I did not anoint myself* at all for the full three weeks. Because of this, we eat no sweeteners of any kind, no deep fried foods and no fancy desserts. We also don’t use any stimulants such as caffeine or alcohol. You will find a wealth of information about the Daniel Fast on this blog and on my website at http://www.Daniel-Fast.com. All the resources you need for a successful and biblical Daniel Fast are here. I hope this helps! *Daniel was mourning. The custom in that time was that men would wear oils and perfumes in their hair. But since Daniel was mourning, this was not appropriate and therefore he was in a simple and plain dress and hygiene. I am a little confused about the no drinking 100% juice thing. The passage says”…let them give us vegetables to eat and water to drink.” If that means we should only be drinking water, shouldn’t we only be eating vegetables too? I don’t see anything about eating fruit or whole grains in that passage, but we do. Diabetes – Men and women with insulin or Type 2 diabetes experience wonderful results on the Daniel Fast if they are wise about the foods they eat. Whole grain cereals and leafy green vegetables are packed with protein yet very low on the glycemic index. The same is true of legumes. Many people with Type 2 diabetes are able to balance their blood sugar levels with the food they eat and can soon eliminate or drastically reduce the meds they take. The same is true with insulin-dependent diabetics – often able to greatly reduce the amount of insulin necessary to balance their BS levels. You will want to make sure to eat foods that are low on the glycemic index and not sugary fruits. Of course you want to take the advice of your health professional and access your own knowledge. But you can get plenty of protein in other ways than nuts and peanut butter. Whole grains, legumes and leafy green vegetables are excellent sources of protein. 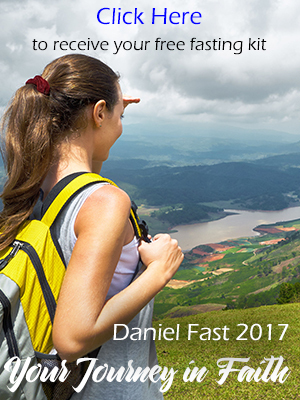 If you go to http://www.daniel-fast.com and enter your email address you can order your copy of the Daniel Fast Guidelines and they will be emailed back to you. Have your health care provider look these over with you and make what modifications they see best for your health care. I hope this helps. My husband and I are embarking on the Daniel Fast for specific reasons, however I am a diabetic on two types of insulin. I am believing God to regulate my health issues seeing that I am seeking more of Him. Are there any suggestions as far as the insulin in concerned? The core reason for this question is that this is my first fast ever and I am excited about it but I don’t want to be ignorant as far as my health is concerned. Please..reply.